Minister of State at the Department of Agriculture Andrew Doyle. Three new measures to support biodiversity in Irish forestry have been announced today by the Minister of State at the Department of Agriculture Andrew Doyle. Speaking on the new measures, Minister Doyle said they were part of the midterm review of the national forestry programme which aimed to support biodiversity. Further details on all three schemes can be found on the Department’s website. This support will aim to encourage the production of commercial timber while retaining forest cover at all times. The distinctive element of CCF is the avoidance of clearfelling areas greater than 0.25ha or more than two tree heights wide without the retention of some mature trees. The scheme will comprise a CCF Transformation Management Plan that will run for a period of 12 years with three instalments of €750 occurring at intervals throughout the 12-year period. The Deer Tree Shelter (DTS) scheme aims to support landowners who wish to plant broadleaves in areas where there is a risk of deer damage. All three species of deer in Ireland are capable of inflicting serious damage to trees, sika deer, fallow deer and red deer. This damage can occur through grazing the foliage of young trees, bark stripping or fraying damage from antlers. Broadleaves in particular are vulnerable to significant deer damage. Minister Doyle said the scheme underpinned the Department’s determination to increase broadleaf planting to at least 30% of overall planting in a given year. The WIS is to be changed to introduce grant aid to carry out a second thinning intervention for broadleaf forests. This aims to enable more light to penetrate the forest canopy and reach the forest floor, thereby allowing plants to re-colonise the forest area. Grant aid for the first thinning intervention remains at €750/ha, while funding for the second intervention is capped at €500/ha. Mairead McGuinness MEP for midlands-northwest gave the opening address at today’s Embrace Farm conference. Farming is a "dangerous occupation" with a high level of farm accidents resulting in death or injury. This was the view expressed by MEP Mairead McGuinness in her opening address at the Embrace Farm’s 'Resilient Farmer' Conference at the Killeshin Hotel, Portlaoise on 25 April. "Farms are also lonely places where increasingly farmers work alone and neighbours work off-farm,” she said. “While we can count fatalities, we do not count pressures on farmers’ mental health and wellbeing, but we know from experience that this is an issue." “Sometimes it’s the accumulation of issues - tiredness after lambing or calving, leading to inability to sleep coupled with fears for the future - together these can push people over the edge,” she said. The MEP also warned that rapid expansion in the dairy sector with farmers increasing cow numbers brings its own inevitable pressures. Labour shortages are very real and some dairy farmers cannot cope with large numbers of cows calving on their own. She also cautioned against the tensions between farmers in different sectors and regions which could drive a once united community apart. McGuinness made a call on families and neighbours to watch out for symptoms of persistent stress and support those affected. Eddie Punch from the Irish Cattle and Sheep Association says that the EAT Lancet report is "misleading". General secretary of the ICSA Eddie Punch said that the EAT-Lancet Report is “misleading” and “should be ignored by Irish people”. Speaking on RTÉ Radio’s Today Show with Miriam O'Callaghan this Thursday ahead of the Irish launch of the report, Punch reasoned that “in Ireland we have a very sustainable system”. 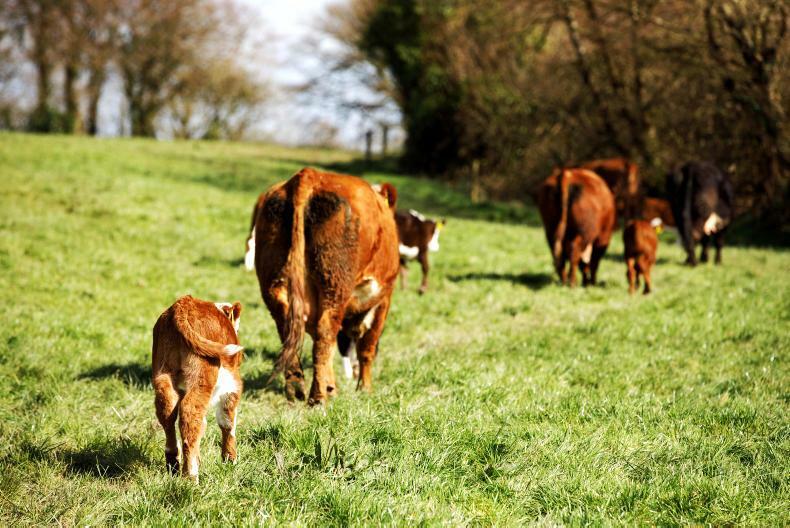 He said that our efficient grass growth produces sustainable grass-fed beef, dairy and sheepmeat products, and that reports like EAT-Lancet are “shaming meat consumption when it shouldn’t and in turn undermining the livelihoods of people in rural Ireland”. The report is criticised for focusing mainly on food production as a cause to climate change with Punch giving the view that reducing the amounts of food wasted would be a considerable measure to tackling climate change. The EAT-Lancet Commission produced a report whereby they looked at healthy diets and food production systems with the aim of setting out targets and framework for governments and organisations to follow to produce and consume food in a sustainable manner. Prof Jessica Fanzo of Johns Hopkins University later presented the report at University College Cork. Read an interview with Prof Fanzo in next week's Irish Farmers Journal. One of the most controversial findings of this report is the recommendation that meat consumption should be reduced by 90% to avert climate change. Eddie was concerned with the amount of resources being pumped into “fake meat” products, with vegan movements promoting them as good for the environment. “A vegan burger is supposedly way more environmentally friendly than beef. "But vegan burgers have 23 plant-based ingredients, flown all the way over from the US, where there is huge GMO and pesticide use. How mad is that to claim that they are environmentally friendly when compared to grass fed Irish beef?” he questioned. Also speaking at the launch of the report, Dean of Cork University Business School Prof Thia Hennessy highlighted the €2m returned to the local economy for every €1m worth of Irish suckler beef produced and warned of difficult choices ahead if we are to meet our climate targets. 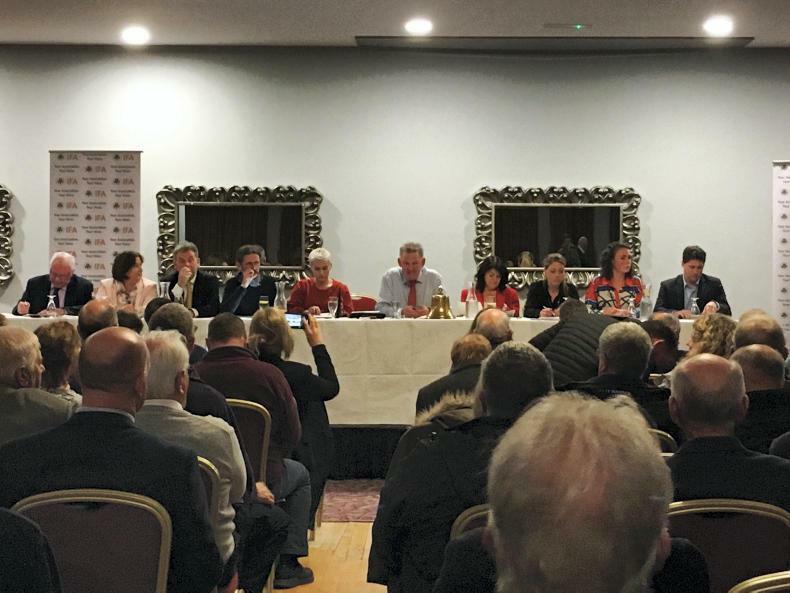 The first of four IFA meetings for MEP candidates took place in Claremorris on Wednesday night, with 10 candidates sharing their views on farming. Ten of the MEP candidates running for election for the midlands-northwest constituency at the first IFA meeting for candidates ahead of the European elections. Convergence, farm incomes, farm viability and the Common Agricultural Policy (CAP) budget, were the key issues raised at an IFA meeting for the European Parliament MEP candidates in Claremorris, Co Mayo on Wednesday night. The midlands-northwest candidates in attendance were sitting MEPs Sinn Féin's Matt Carthy and Independent Luke Ming Flanagan, Fine Gael candidate Maria Walsh, Fianna Fáil’s two candidates Anne Rabbitte and Brendan Smith, Green Party candidate Saoirse McHugh, Michael O’Dowd of Renua and Independents Fidelma Healy-Eames, Peter Casey and Olive O’Connor. Each candidate was given five minutes to say their piece before a question and answer session kicked off. The Green Party candidate Saoirse McHugh told the meeting that it has become abundantly clear to her that CAP is not fit for purpose anymore. “Our suckler farmers are on their knees, our land is being bought by businesses, climate change and biodiversity loss can no longer be ignored and our relentless search for new markets is trapping people into vulnerable export-based systems. From what I’ve seen, there are very few farmers who feel like they are winning and many have said that they are about to go out of business. “I’ve yet to meet a farmer who has told me there are perfectly financially stable, secure and happy. I will not support the Mercosur trade deal and will look for a fully funded CAP,” she said. Current Independent MEP Luke Ming Flanagan highlighted the work he has done to date in the European Parliament’s agriculture committee on the next CAP. “One big gain I believe there was, was the adoption of an amendment which I tabled looking for 100% convergence of CAP payments by 2026. If that gets through plenary and trilogue it would mean, by the figures that I have, in the region of €71m extra for Co Mayo, by the end of the next CAP term. “Another thing that I voted through, was a front-loaded payment, up to 65%. I looked for 100%, unfortunately we did not get support for that. The EPP, which contains Fine Gael, wouldn’t agree with it but they were looking for only a 25% front-loading payment. As a compromise we went for 65%. Now the committee position is, that if a country wishes to, they can pay up to 65% of a front-loaded payment, whether that be on the first 20ha or the first 30ha,” he said. Farmers are no different to small business owners in many respects but very, very different in others, because farmers rely heavily on what the EU decides with their income, Independent candidate Olive O’Connor said. “I am not going to stand here and pretend I know about the various ins and outs of the Common Agricultural Policy (CAP) either…but I do know this for sure: the proposal to cut the budget over the next seven years is downright scandalous. 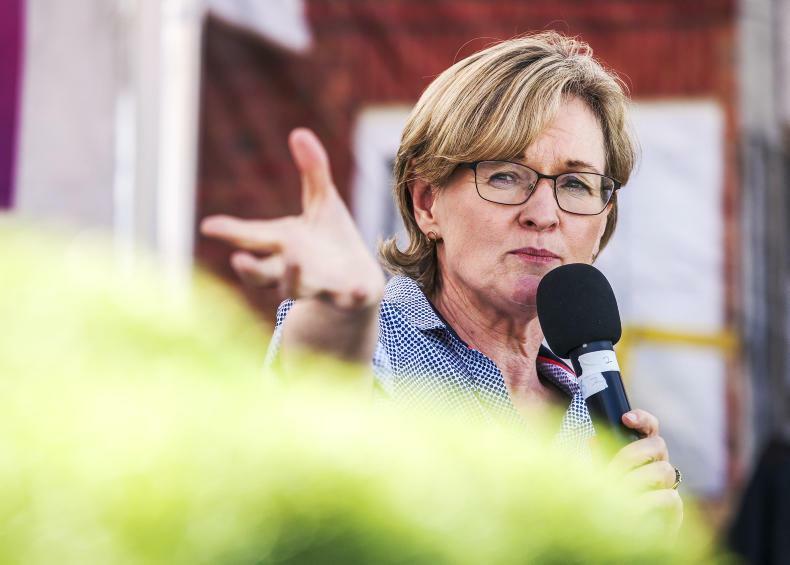 “Asking farmers who are already under continuous stress to do more and more from less goes against some of the very principles of the EU fundamental charter; dignity, respect and equality,” she said. Former Fine Gael senator Fidelma Healy-Eames, now an Independent, said that she knows the issues which farmers push are “instinctively innate” to them. “The candidates you elect must have that feel. For me farming is a matter of identity but it’s also a business and farmers livelihoods matter. “I want to thrash out the issues that matter to our people that matter to our region. The EU has downgraded our region from developed status to a region in transition because we have per head of capita, the smallest GDP. It’s not because we have no resources or the talent, it’s because we haven’t the investment. I am ashamed to see that the Government I supported in the past has become almost a Dublin-centred government and this is hurting us all,” she said. The next five years in relation to Irish agriculture are going to be pivotal, current sitting Sinn Féin MEP Matt Carty said. “They will either mark the end of family farming in Ireland as we know it or it can mark the beginning of a new era. “Every time we come to redefining the CAP process, a number of things are self-evident compared to the last time. More food is being produced but less farmers are involved in producing it. The age profile of those involved in farming is increasing and inequalities between those who are actually making huge sums of money out of food and those who are doing most of the work to produce that food are growing ever greater. There are three broad areas that need to be addressed: fair price, fair play and fairy CAP. “It is the scandal of our time that there are many people making money out of food but they are not those who are actually involved in producing it. The supermarkets, the factories, the processors are all making killings while those people who are not only creating the food, but are the lifeblood of our rural communities,” he said. Fine Gael candidate Maria Walsh, former Rose of Tralee, said generational renewal and equality are two things she will deliver on. “The second thing is there’s a provision in the CAP reform to support women. As a female who’s very much interested in farming, I will be sure to deliver on that opportunity. I’ve already spoken to female farmers living in the west and northwest who are demanding representation from this region who will focus on delivering this opportunity. “A combination of payments must be directed to enabling people to run a family business in a sustainable way, that means intergenerational, that means environmental practices and innovation,” she said. The first thing we need to focus on is that we need a CAP that is fully funded, the Fianna Fáil TD and former Minister for Agriculture Brendan Smith said. “I believe it has to be the number one priority. We need a fairer CAP, we need a simpler CAP. 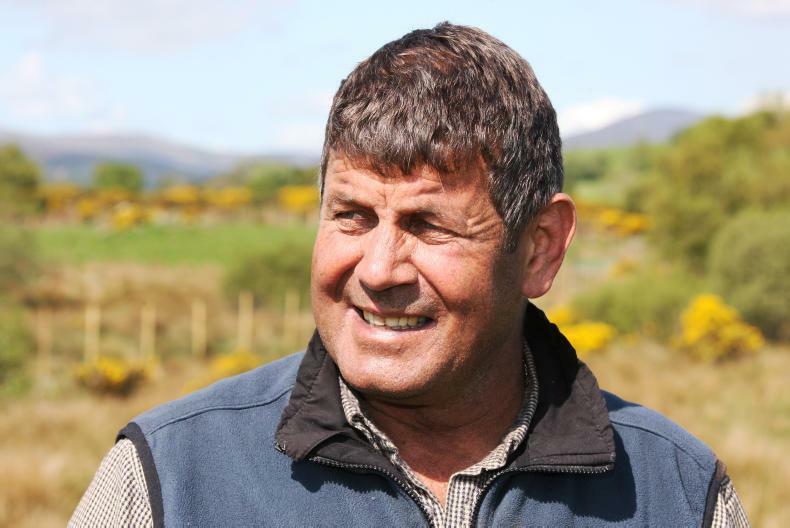 “I think over the years farm organisations, successive governments and departments of agriculture throughout the European Union, they have never got the message across to the electorate at large or to society that the CAP is not a transfer of funds to the farming community. I remember crossing swords with a previous president of this organisation when he spoke many years ago in a presentation to young farmers when he talked about the cheque in the post. “That was the wrong terminology. It was a compensatory payment. CAP is not just about agri food, it’s about society,” he said. Michael O’Dowd from Renua, an accountant, said that you can’t be Irish and not realise the huge importance of farming. “My interaction with farming and the skillset I bring to it has recently puzzled me in relation to the economics of the industry. You have food processors shelling out millions to buy facilities in the UK and yet you have the primary producer selling their product at a loss. You have the CAP system paying huge amounts of money paying huge amounts of money to Larry Goodman or Prince Charles and yet you have the ordinary family farmer that CAP was set up to support struggling. “Beef is in serious trouble and it really is if you look at the facts and the figures. Frankly it’s not being helped by a minister who really seems to have given up on beef,” he said. Fianna Fáil TD Anne Rabbitte said that in her previous work as a financial advisor she had farmers coming into her for overdrafts, bridging term loans and extensions, all the while waiting for their stock to fatten to sell them and waiting for prices to go up. “I knew first hand what they were experiencing, I knew the struggles that were in front of them when it came to September to send their children to college. I knew the struggles that they had in January when they were sending them back again, when they had to make a second payment in ensuring that they would get their fees paid for. “The value of Irish farming can never be underestimated. Farm families cannot be underestimated. Without farm families, without those children going to school, without those people in our communities, we don’t have communities. I will put on an Irish jersey to work to ensure we protect our farmers,” she said. Last year’s presidential election runner up and Independent candidate Peter Casey said that if elected, he will be “passionate, verbal and supportive” for farmers on Brexit. “I will explain to people the fragile nature of the farming industry, because I understand it. “We are not like the German manufacturers of cars. They can have a big supply chain breakdown and can pile the cars up in fields and in airports for three or four months at a time. Cows cannot stop being milked. We have 2.2m litres of milk a day going north and if there’s a complete sort of breakdown on Brexit, the cows won’t stop being milked, they won’t just take a couple of months off. We don’t have that luxury that the German manufacturing industry has. “There can’t be any disruption at all in any way, shape or form,” he said. For more on the meeting, pick up next week’s Irish Farmers Journal.